IAS has a variety of types of performances and can be a great addition to many events. 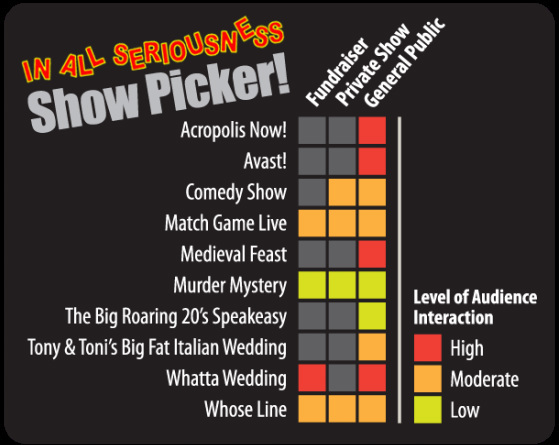 To help you select which is best suited for your event we've created a chart. If your needs don't fit into one of the categories you see here don't fret! We do many custom performances and will gladly work with you to tailor an experience that fits your event. Want to discuss details? Want to do something custom? Ready to book a show?